The ALS Association, in partnership with the American Academy of Neurology (AAN), announced that Sabrina Paganoni, M.D., Ph.D., has been awarded the three year 2017 Clinical Research Training Fellowship in ALS Research Award and Nicholas Olney, M.D., has received the two year 2017 Clinical Scientist Development Award in ALS Research. These fellowships are designed to recruit talented, promising young scientists who propose innovative clinical ALS studies and to foster their development to make significant contributions to ALS research. ALS is a progressive neurodegenerative disease that affects nerve cells in the brain and the spinal cord. Eventually, people with ALS lose the ability to initiate and control muscle movement, which leads to total paralysis and death, usually within two to five years of diagnosis. 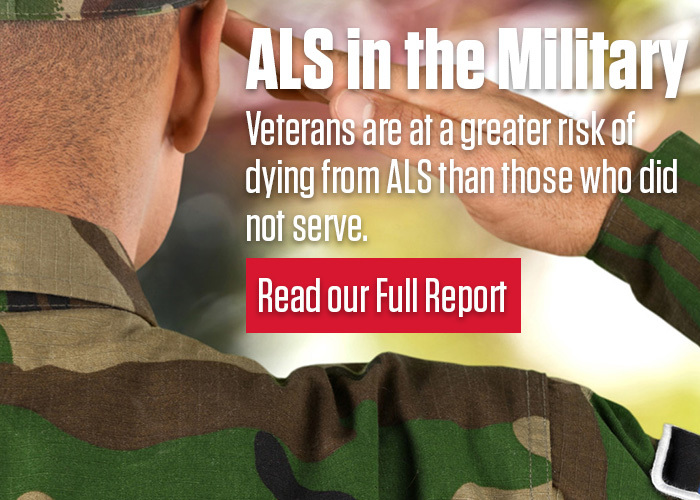 For unknown reasons, veterans are twice as likely to develop ALS as the general population. There is no cure. Paganoni’s project, “A phase 2 study of urate elevation in ALS,” will examine whether administration of a drug, called inosine, that is designed to elevate urate, leads to elevation of glutathione, a known protective compound in the brain. Urate is an antioxidant that is possibly protective in ALS. Brain glutathione will be measured using advanced neuroimaging techniques. Her study will be part of a placebo-controlled trial to determine whether the urate-elevating drug, inosine, offers clinical benefit in ALS. She will work under the mentorship of Michael Schwarzchild, M.D., Ph.D. of Massachusetts General Hospital in Boston. Olney’s project, “Cervical spine imaging and CSF neurofilament light chain as biomarkers in patients with ALS,” will focus on the development of clinical markers of disease progression, a major unmet need in ALS. He will work under the mentorship of Howard Rosen M.D., Professor of Neurology at the University of California at San Francisco School of Medicine. Receiving this award is particularly poignant for Dr. Olney. His father, Richard K. Olney, M.D., was an internationally respected neurologist and researcher, who founded the ALS Treatment and Research Center at the University of California, San Francisco (UCSF), an ALS Association Certified Center of Excellence and served on the Board of Directors for The ALS Association Golden West Chapter. Dr. Olney was himself diagnosed with ALS in 2004, the same disease he helped his patients fight for over 30 years, and lost his battle in 2012. That same year, The AAN and The Association named the Clinician Scientist Development Award in his honor.